Canyon Ranch Institute (CRI) Executive Director and Board Member Jennifer Cabe, M.A., joined Savannah Civic Leaders Charles H. Morris and Rosalie Morris to announce the expansion of the CRI Healthy Garden at Trustees’ Garden. 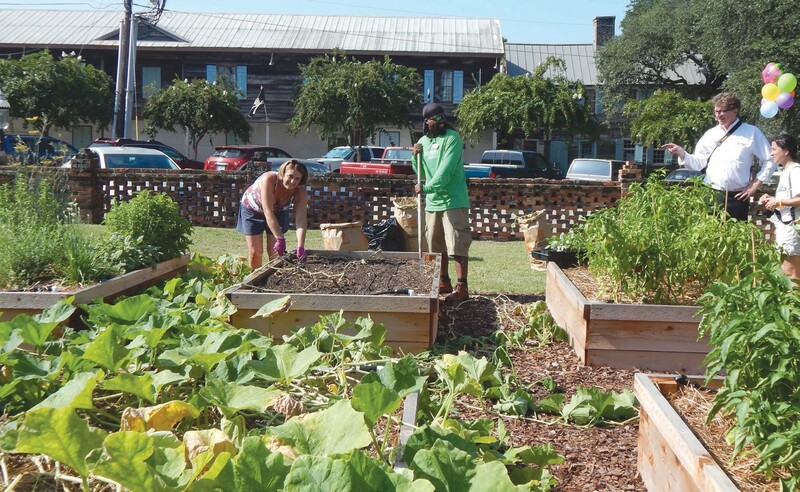 The Savannah CRI Healthy Garden is already a thriving cooperative, organic garden planted, maintained, and harvested by more than 60 local volunteers. This new commitment will expand the garden to include contemplative, open space that anyone can use for gardening, meditation, and relaxation derived from a beautiful natural setting. American Psychological Association research shows that 20 percent of Americans report feeling extreme stress (ranking an 8 or 9 on a 10-point scale), which can lead to physical and emotional symptoms, including fatigue, irritability, and poor eating habits. To combat these negative health effects, open, outdoor spaces such as gardens can be effective aids for stress management. The Savannah CRI Healthy Garden expansion announcement was made at a Canyon Ranch Institute Savannah Partnership (CRISP) event honoring volunteer community members, who over the course of four months, helped create raised garden beds, install the beds at Trustees’ Garden, and filled them with soil, seeds, and seedlings that quickly grew into robust eggplant, tomato, squash, bean plants, and a variety of herbs and beautiful flowers. The garden produce is helping feed low-income people in Savannah.